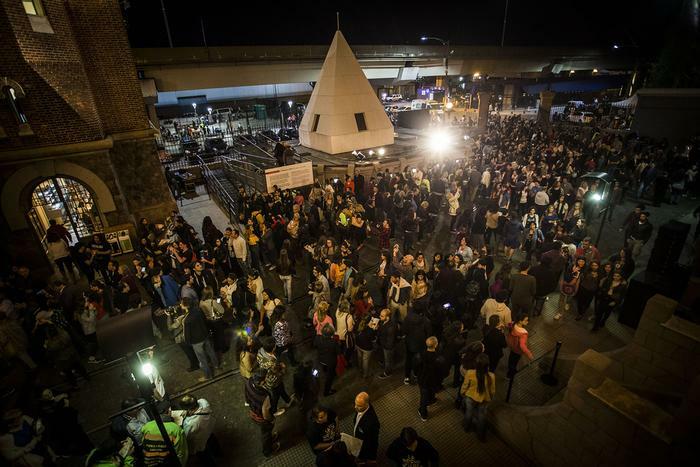 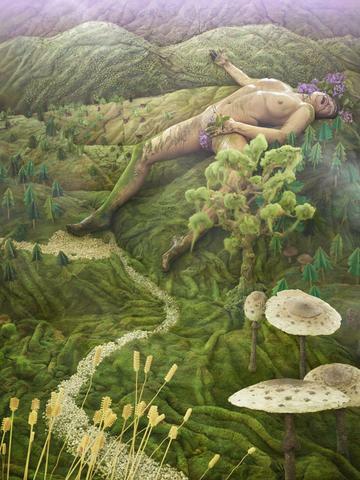 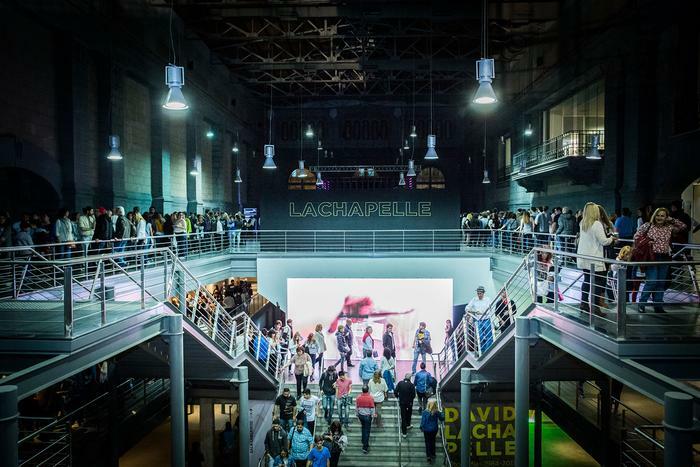 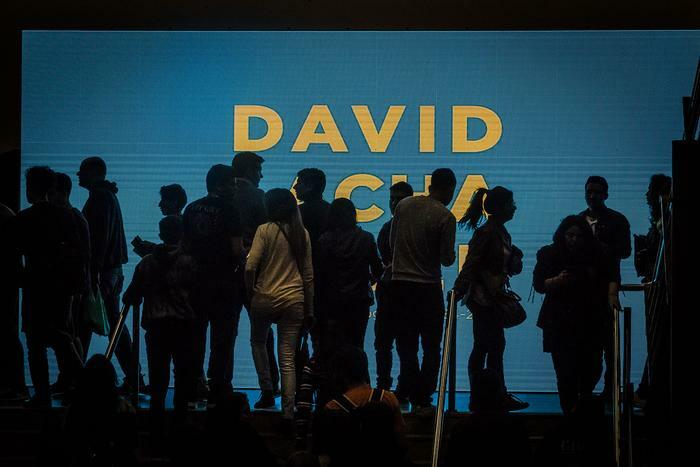 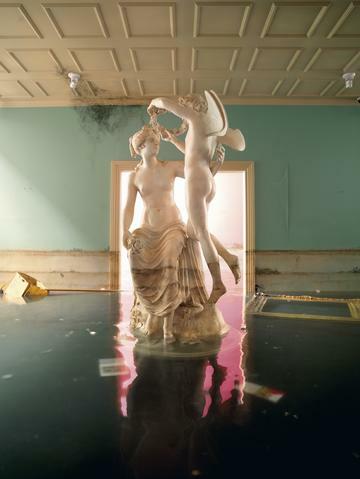 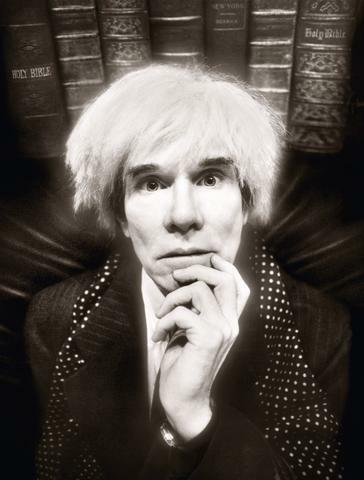 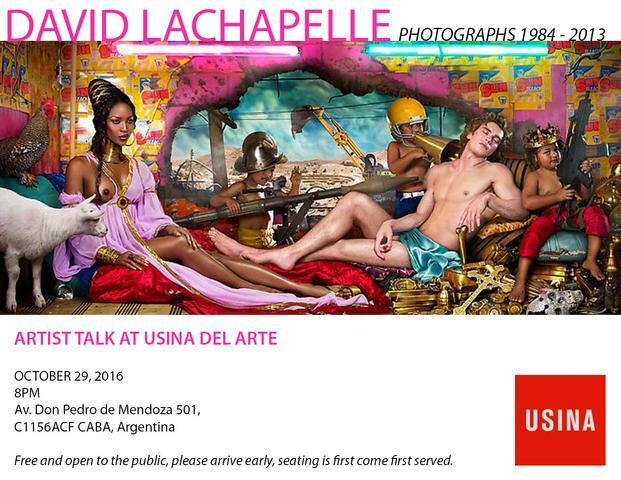 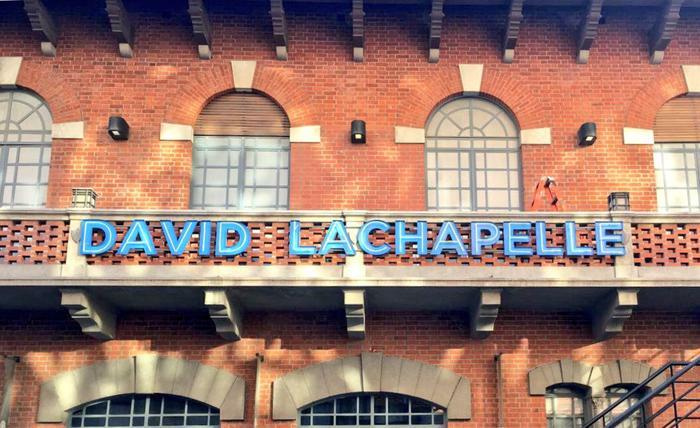 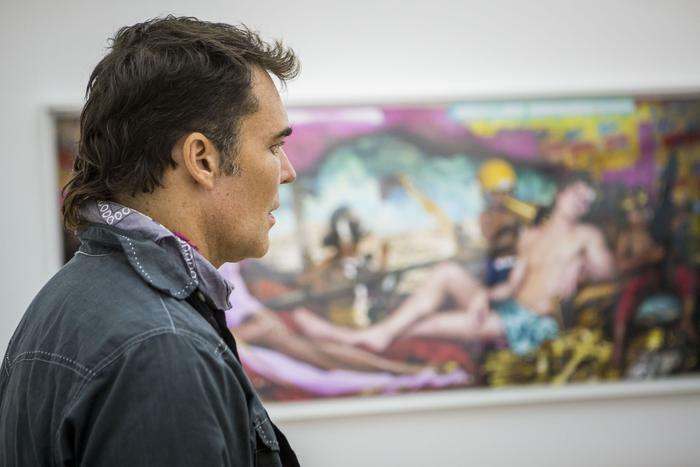 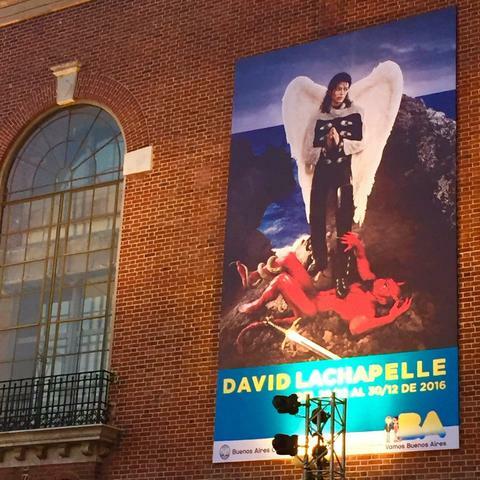 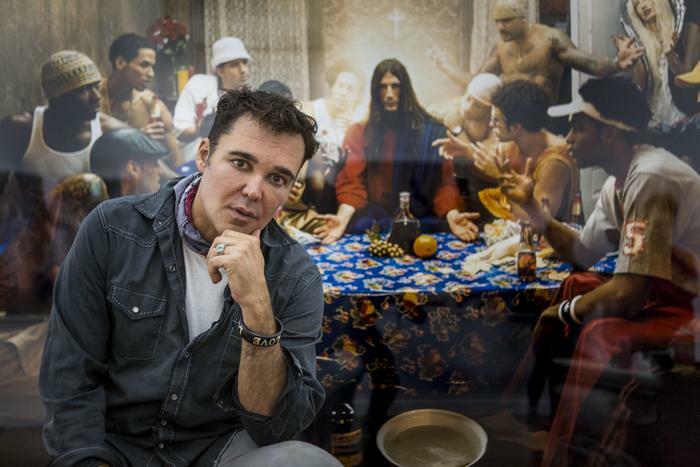 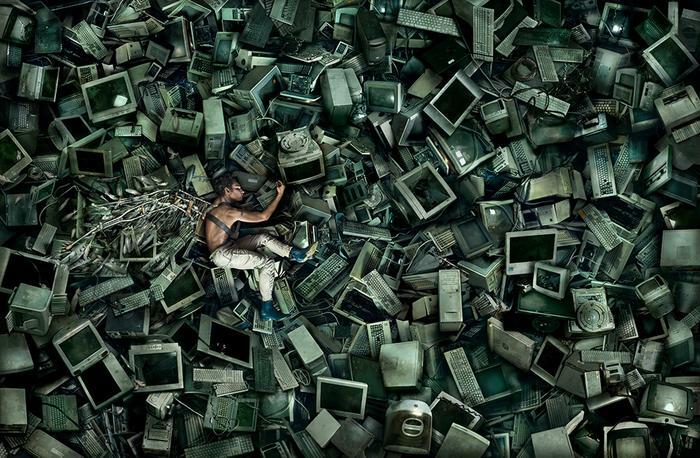 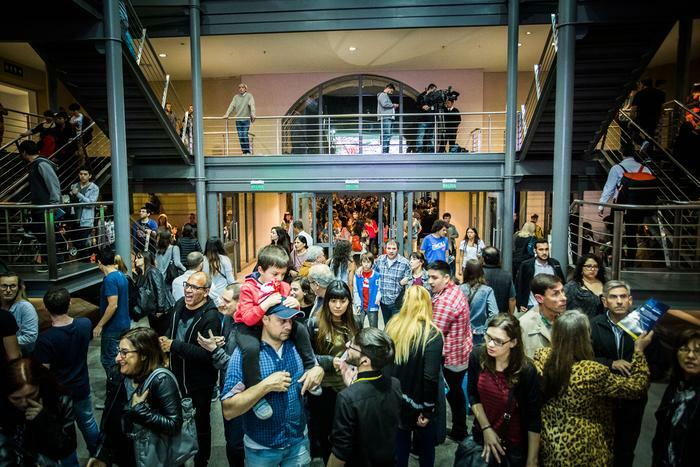 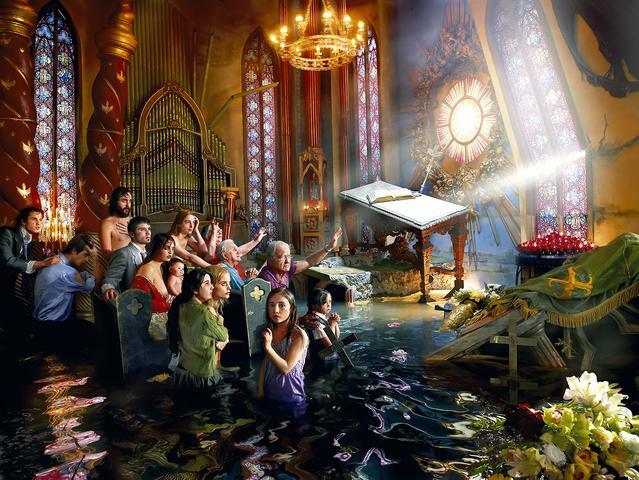 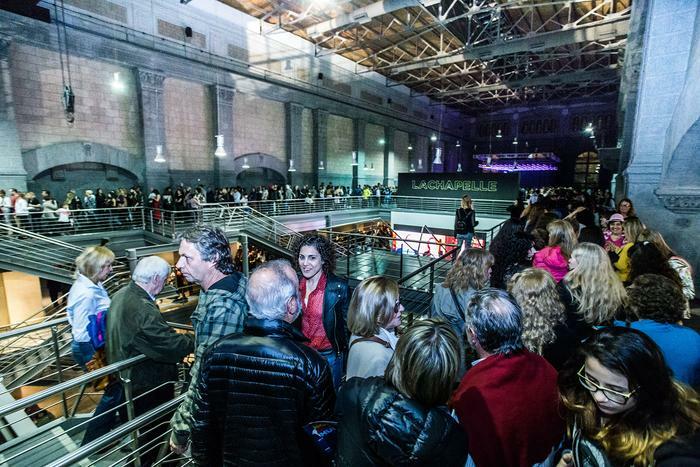 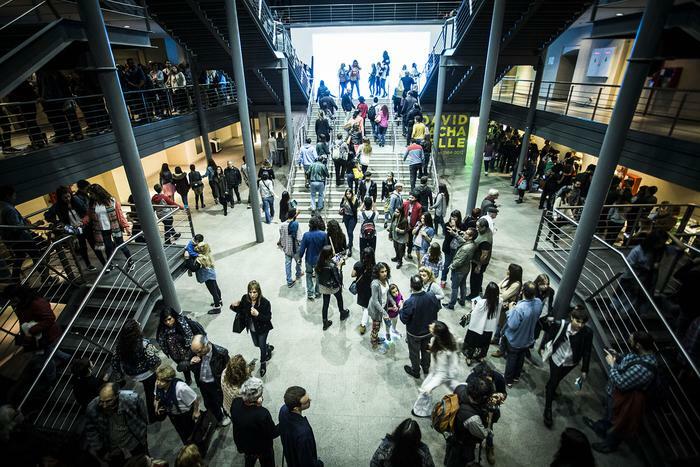 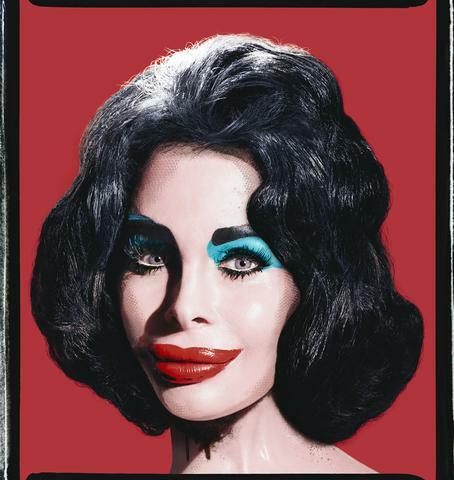 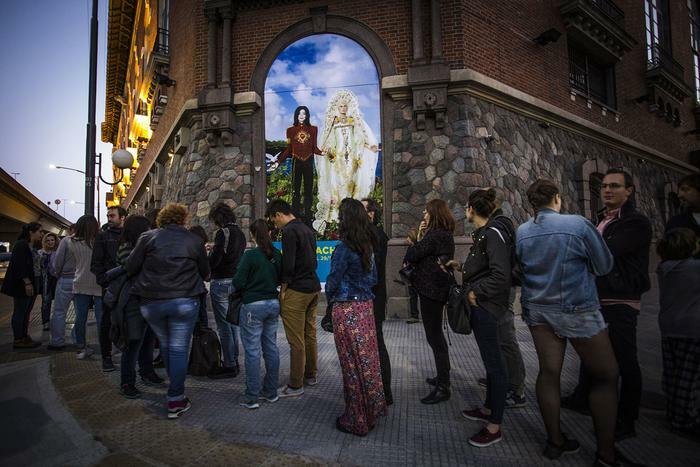 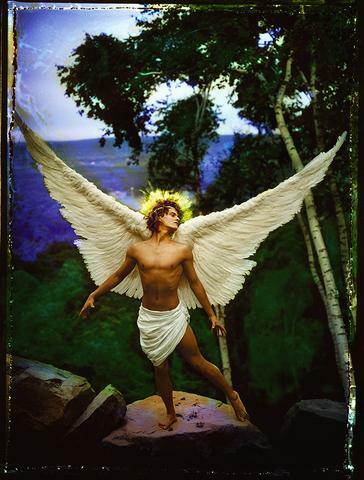 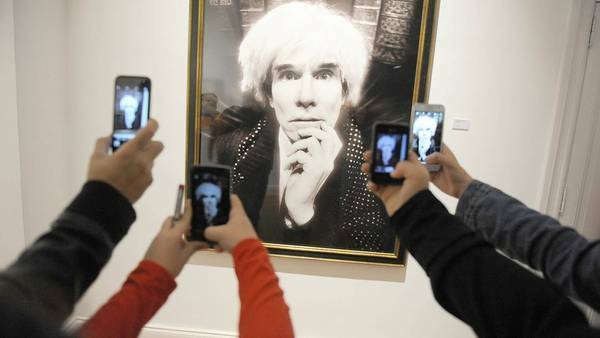 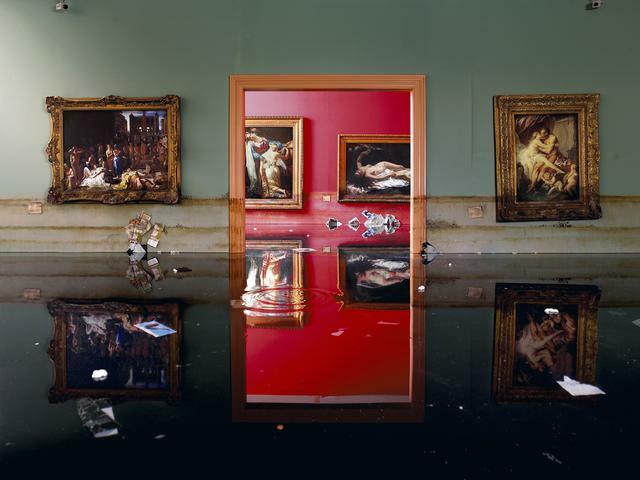 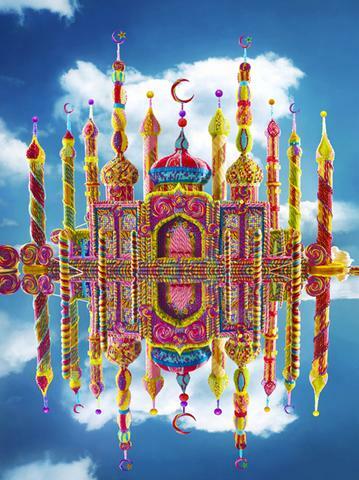 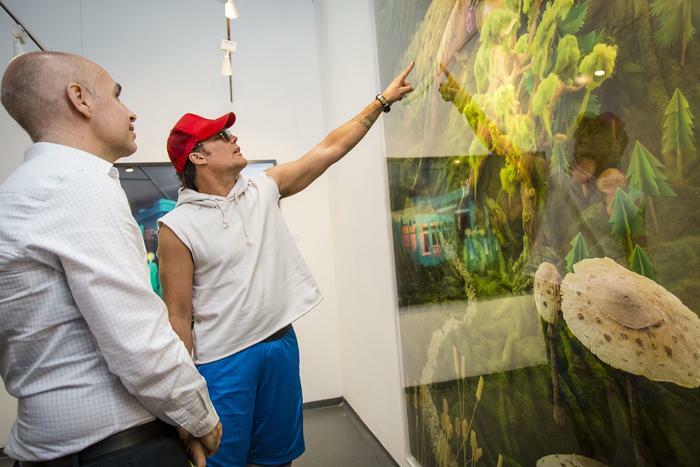 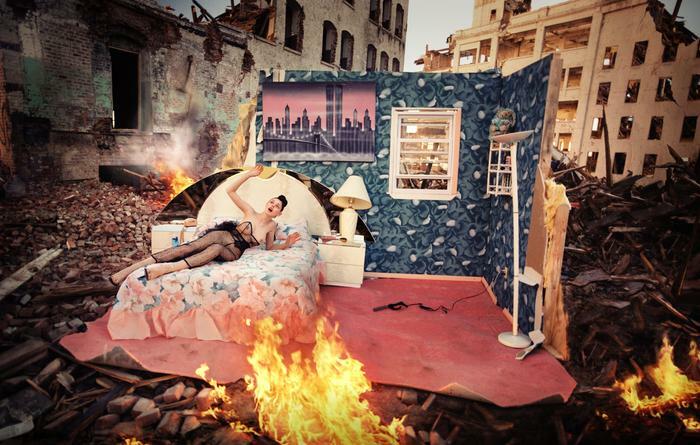 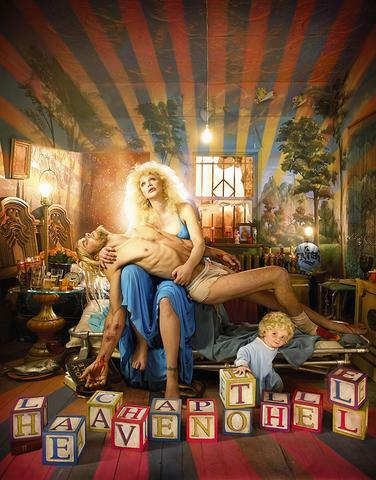 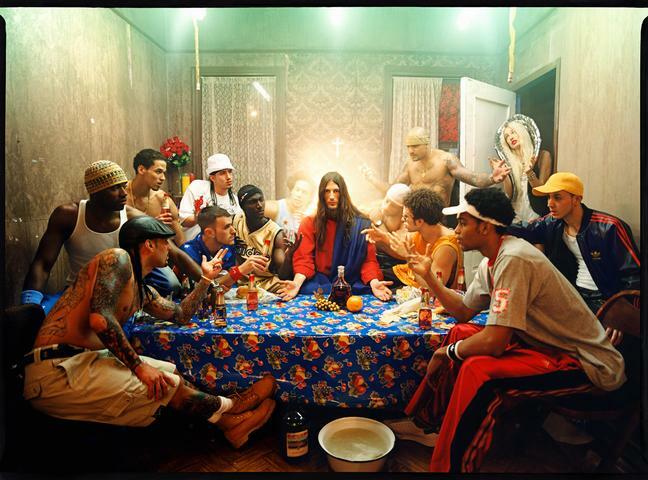 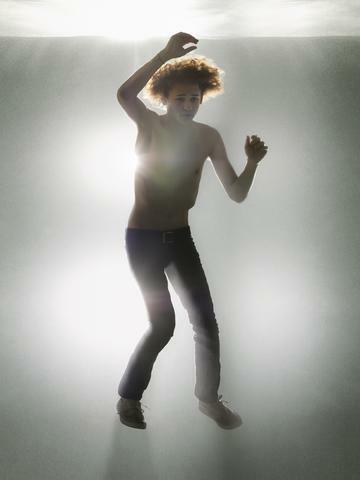 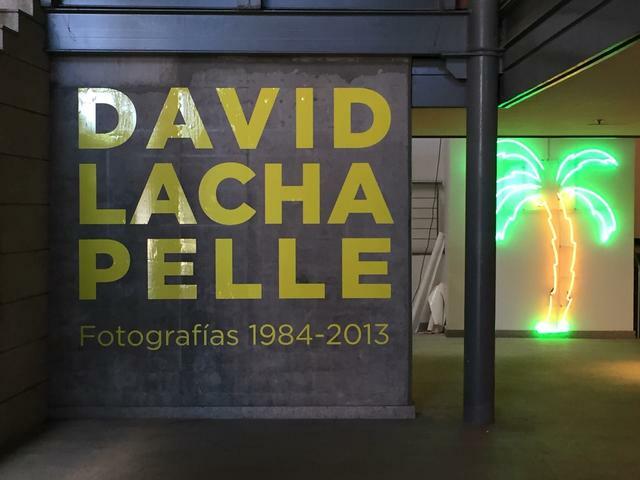 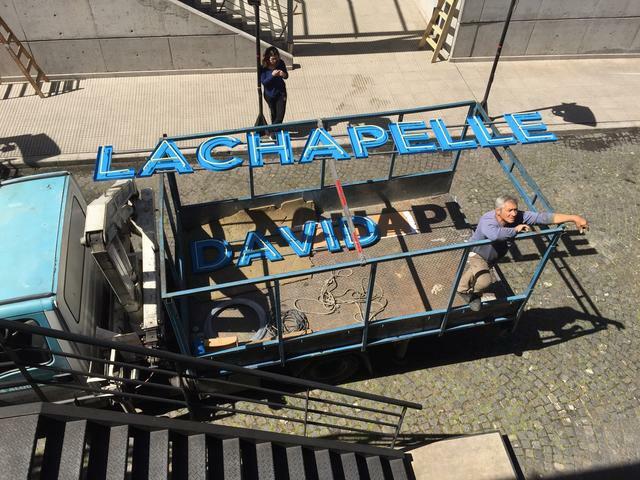 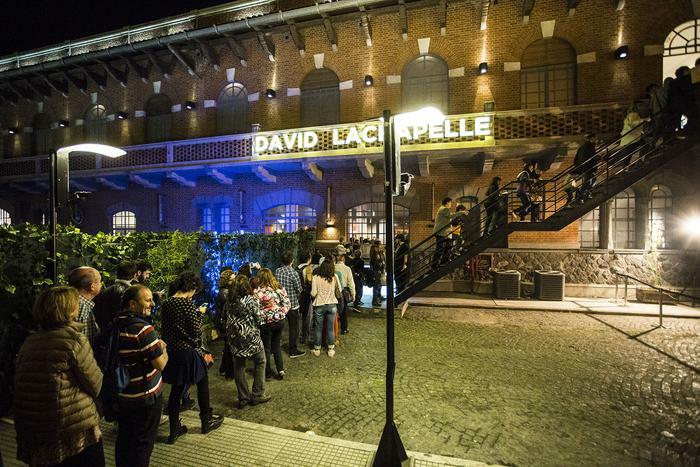 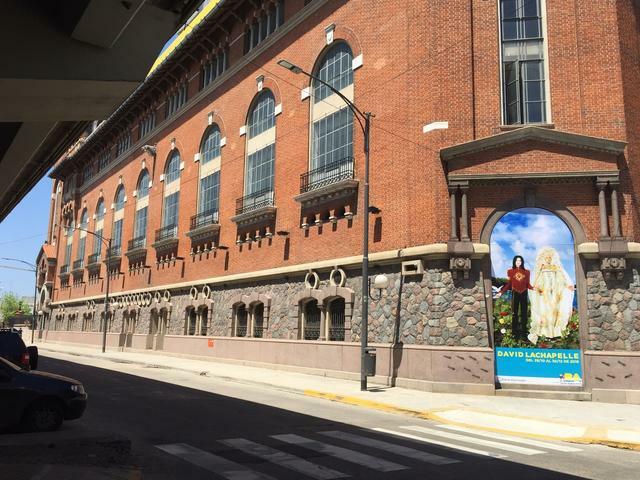 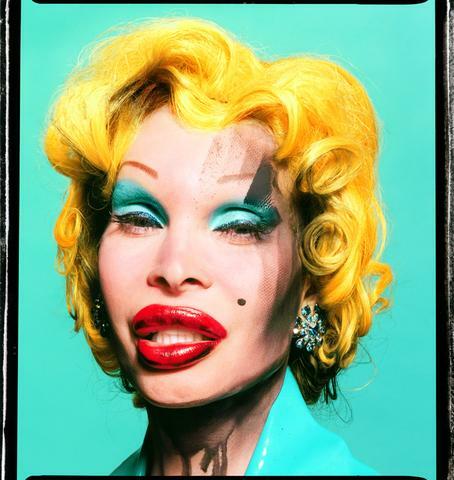 The Usina del Arte is pleased to present a condensed compilation of David LaChapelle’s life’s work thus far. 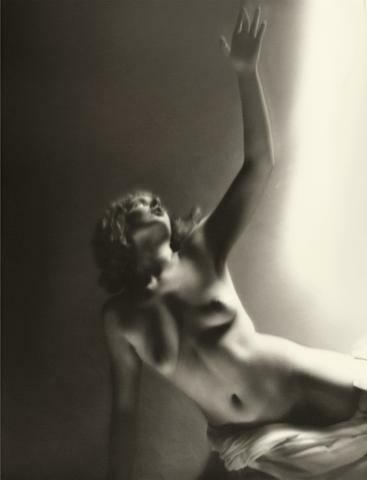 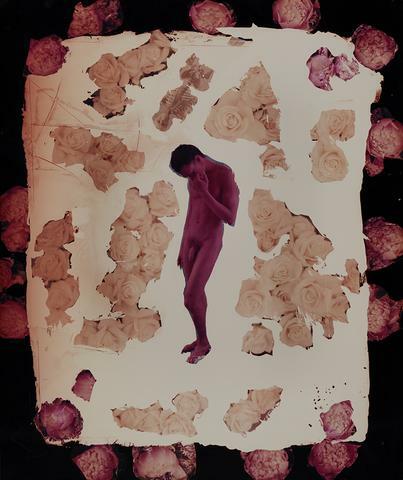 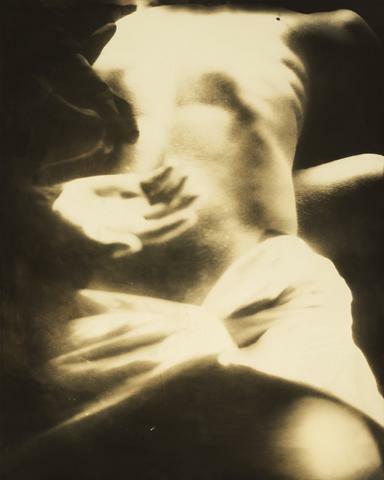 His first series on display, Good News for Modern Man, is a selection of black and white photographs reminiscent of Italian Renaissance and Pre-Raphaelites. 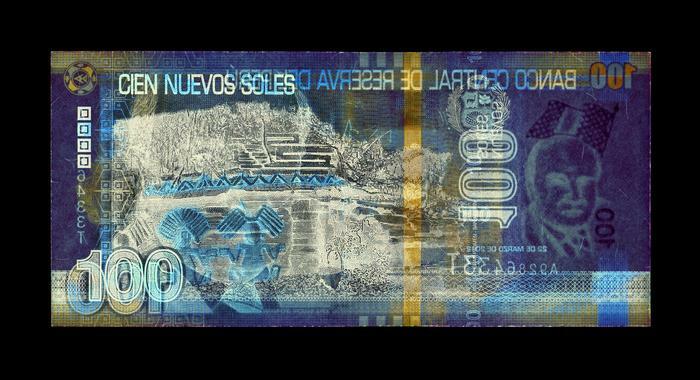 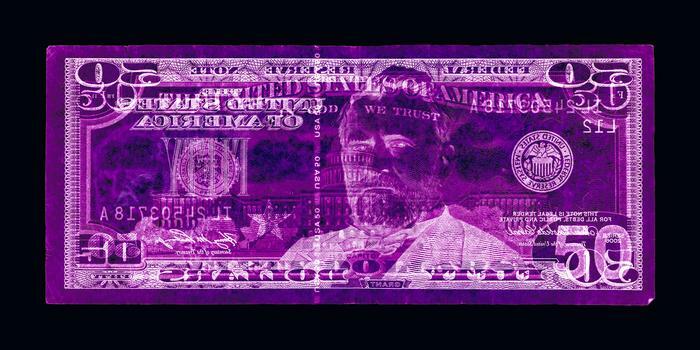 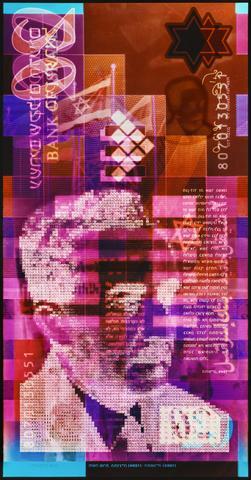 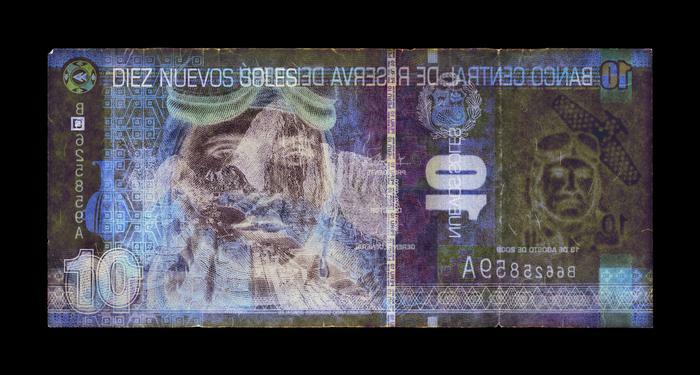 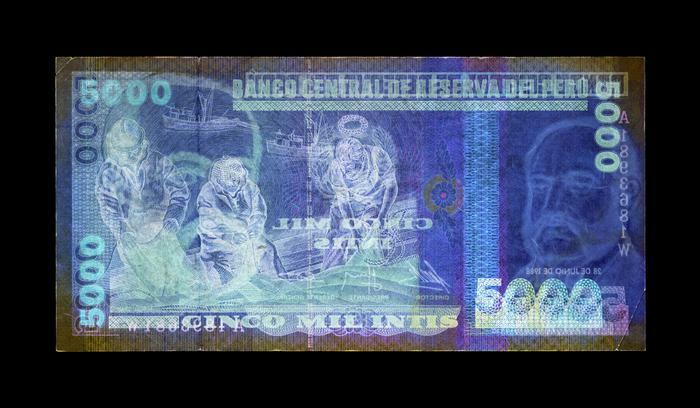 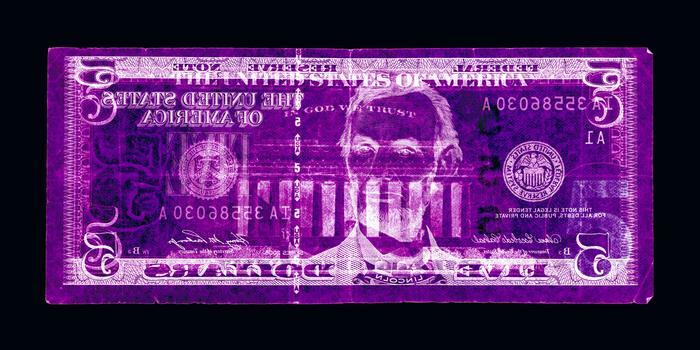 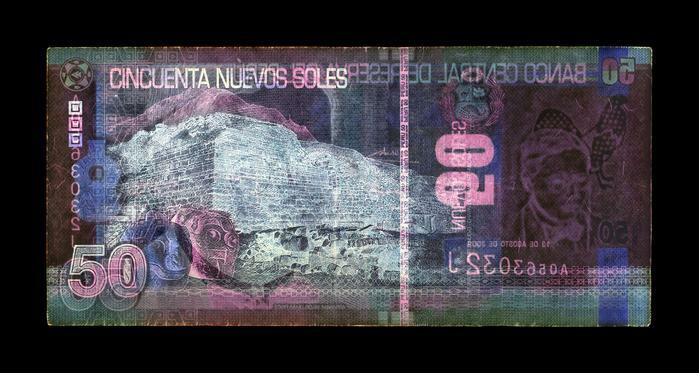 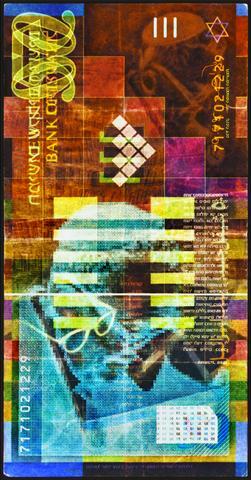 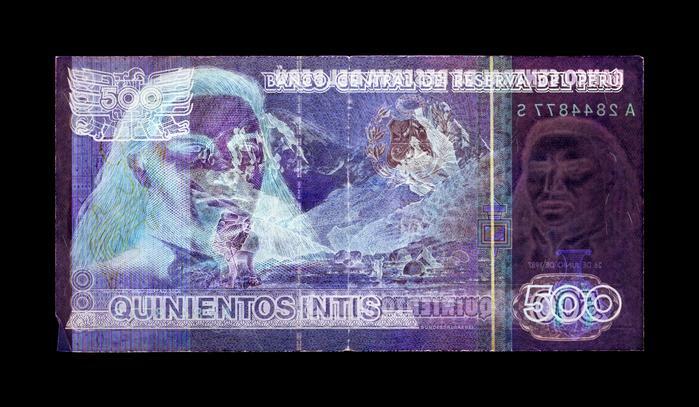 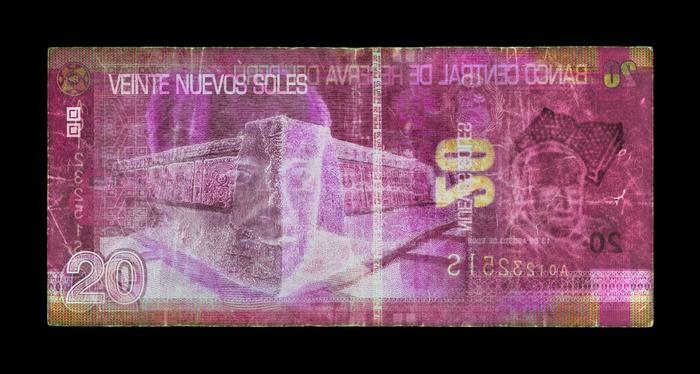 Negative Currency follows as large colorful magnifications of international currency. 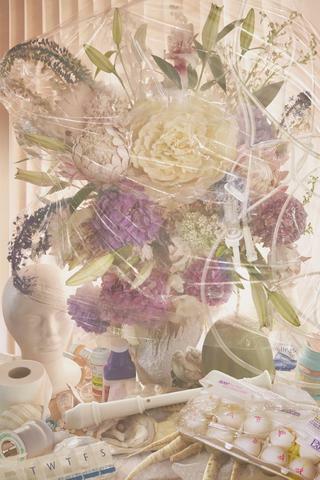 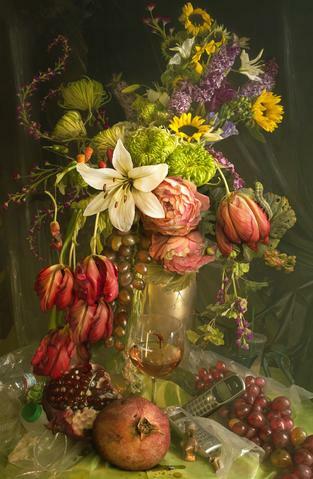 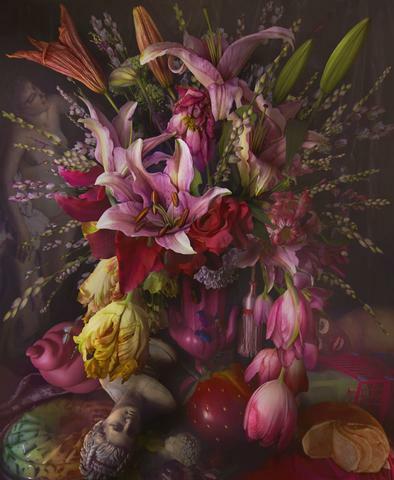 The next selection, Earth Laughs in Flowers, is a take on Flemish still life made modern with flower bouquets adorned with dated everyday household items. 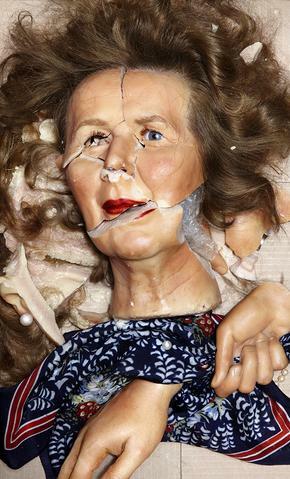 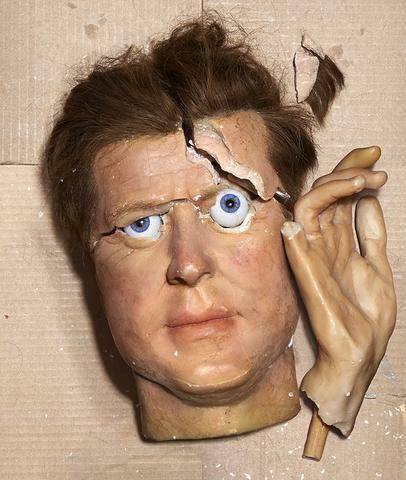 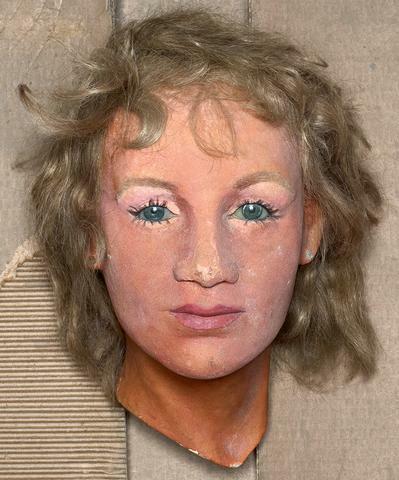 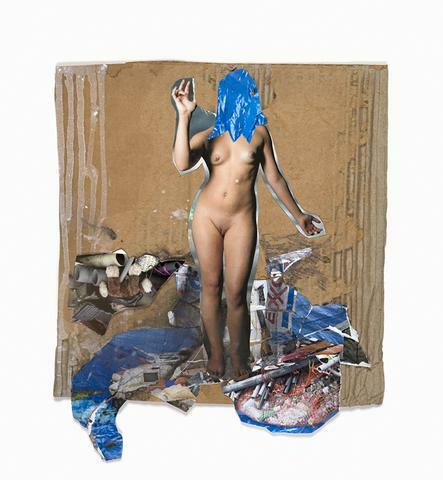 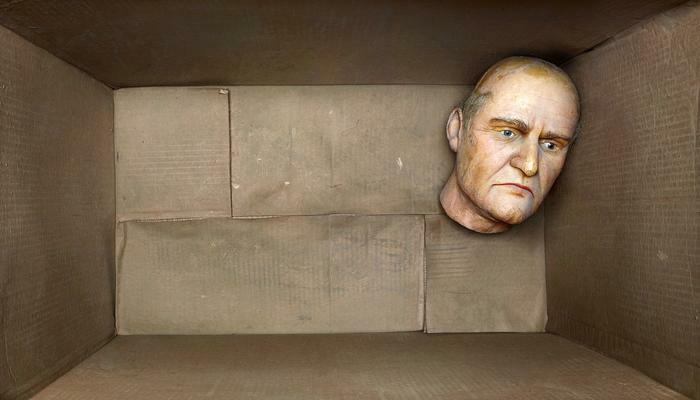 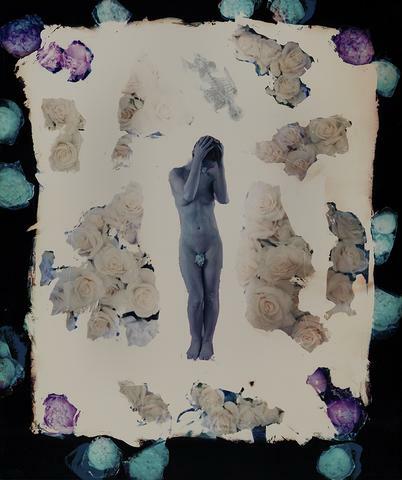 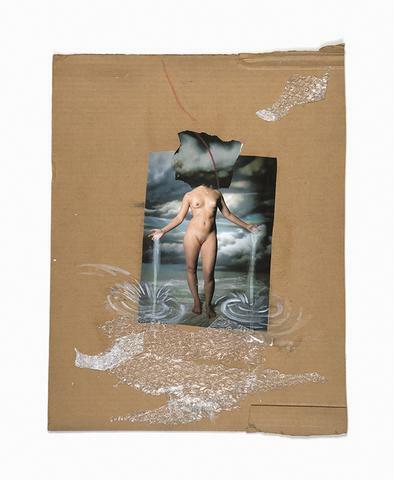 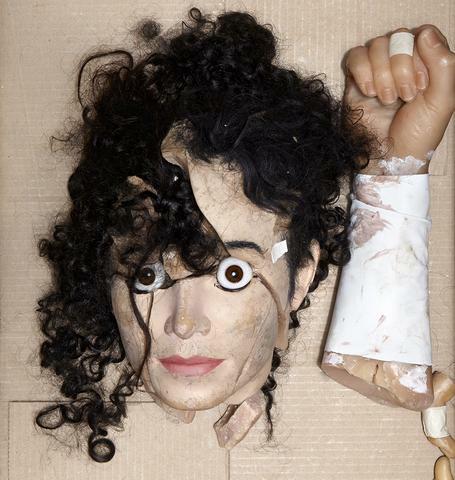 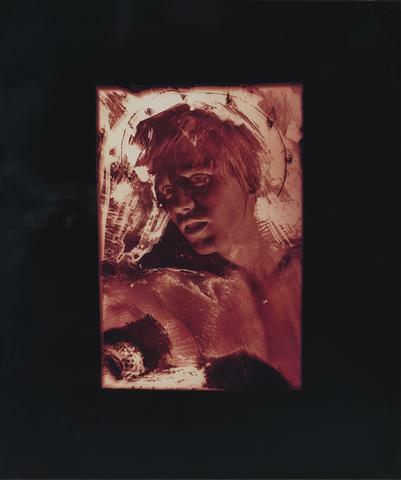 The selections from Still Life contain found wax replicas of celebrities broken down into busts, limbs and digits, strategically placed within a cardboard box backdrop. 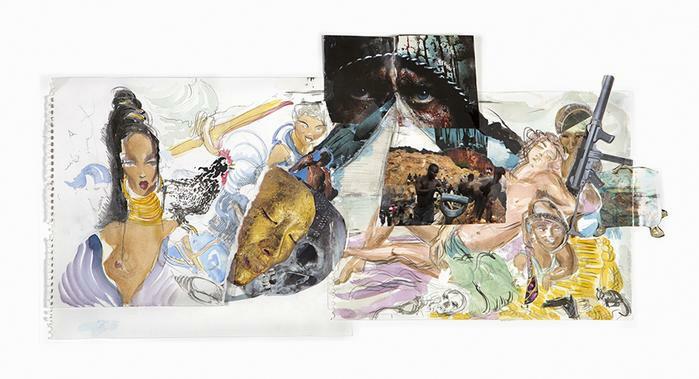 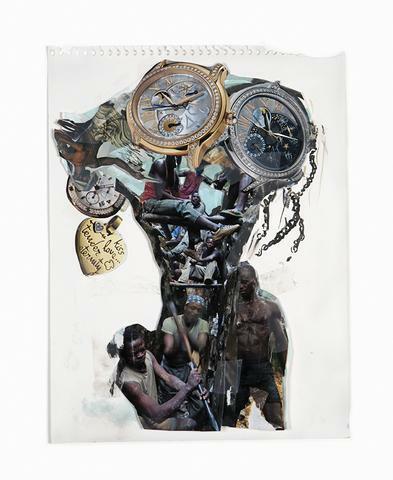 Recollections in America contains 1970’s snapshots of family gatherings reappropriated into a collaged dystopian retrogrades. 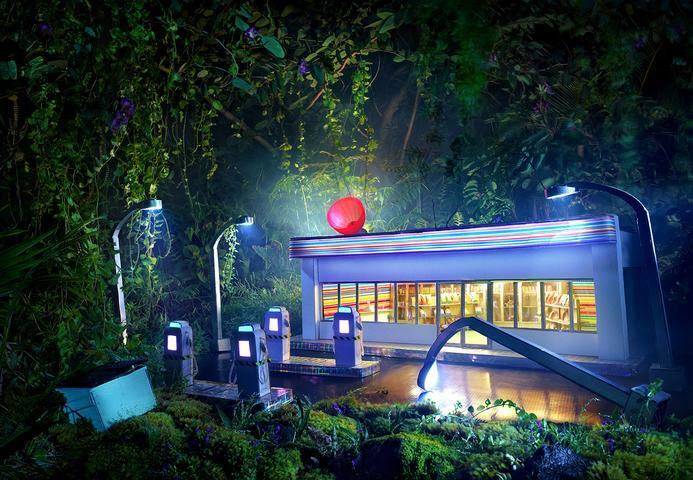 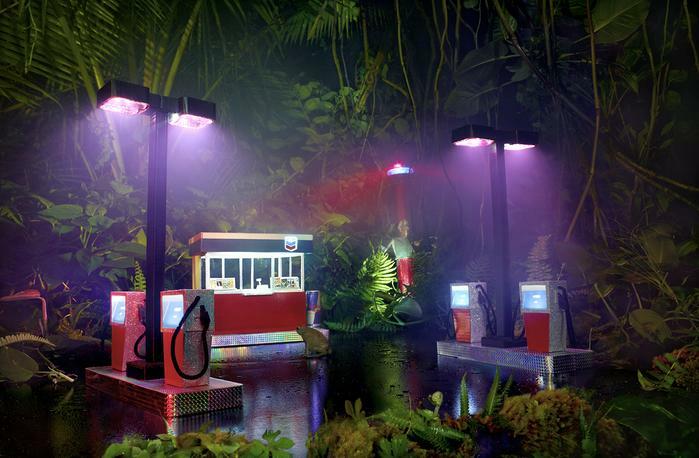 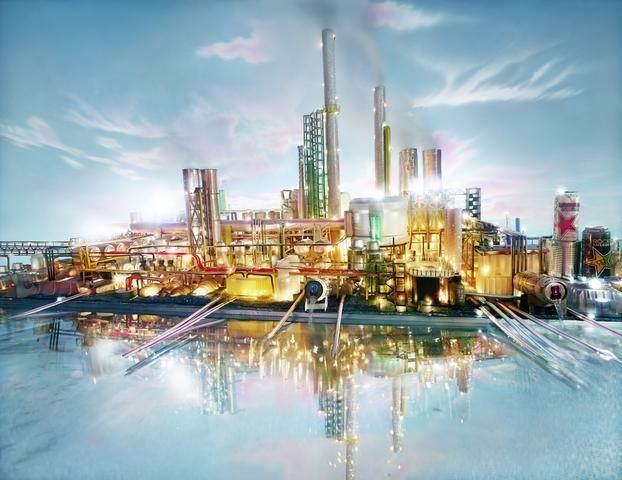 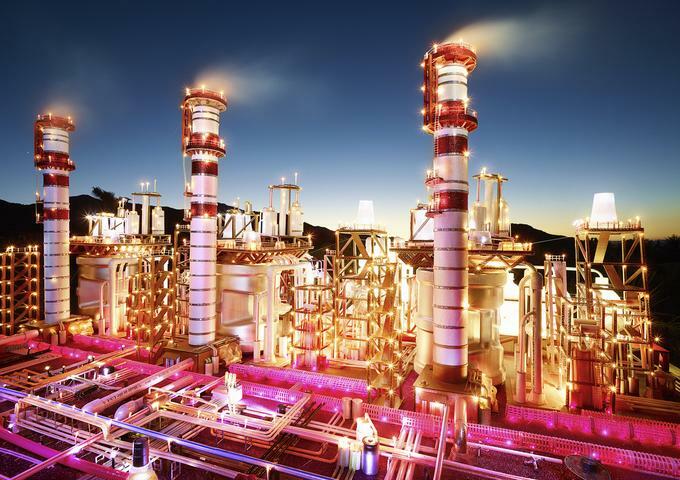 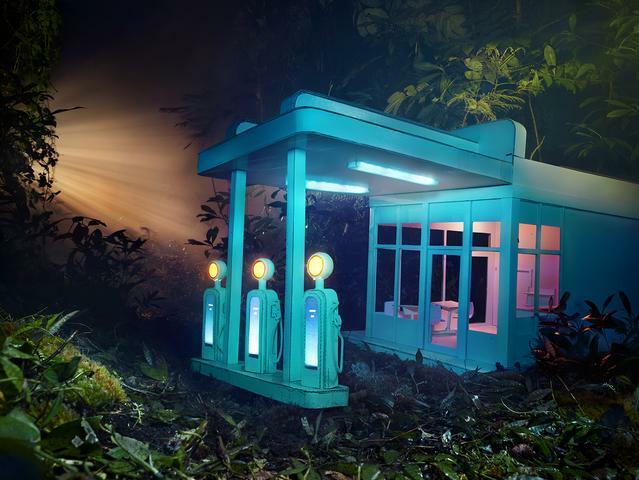 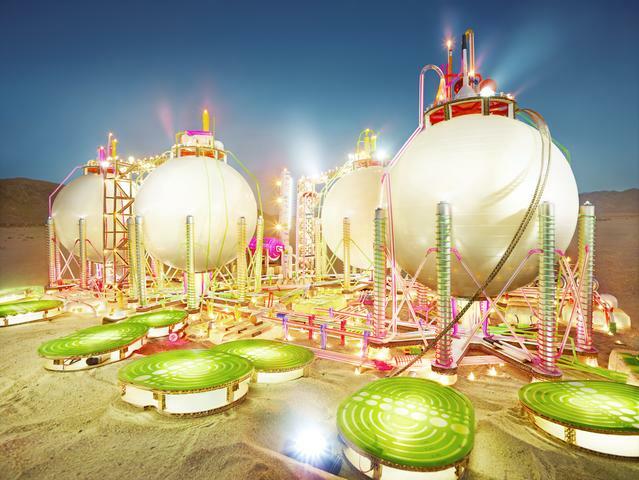 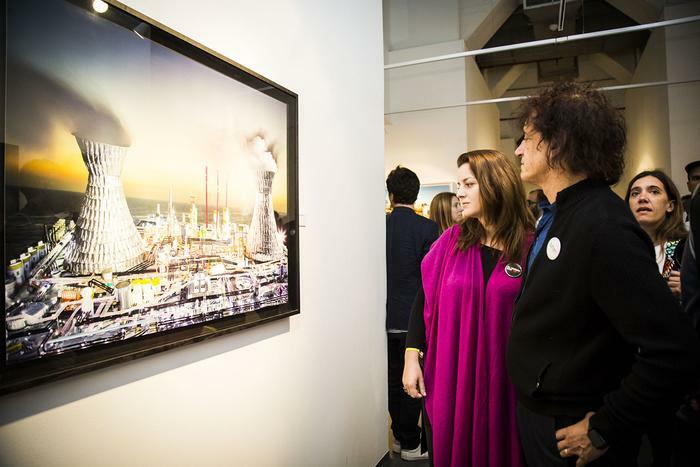 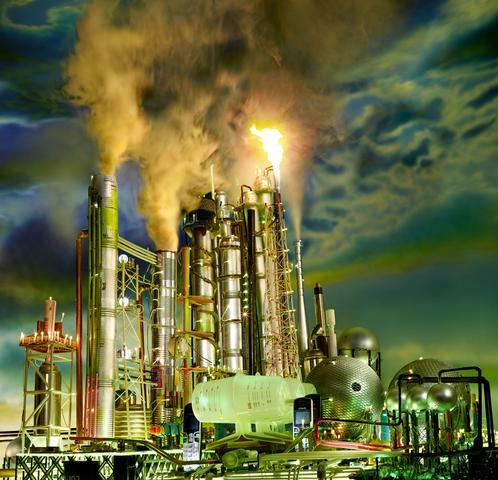 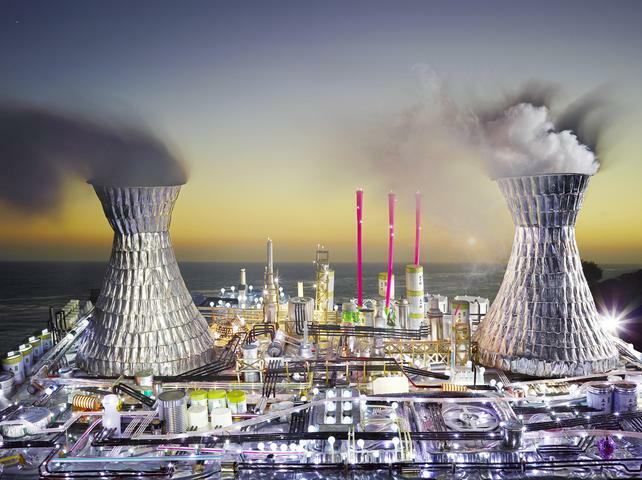 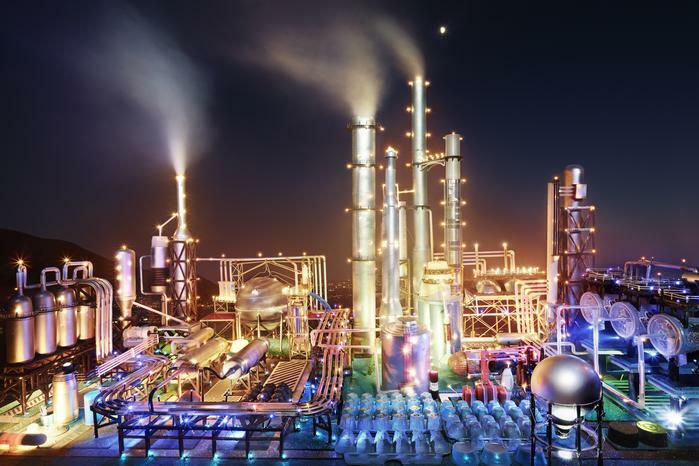 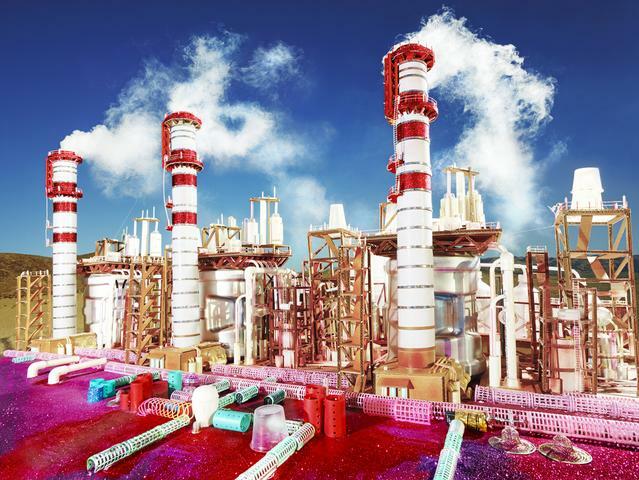 Land Scapes, LaChapelle’s most recent work from this exhibition, illustrates oil refinery plants lit up with eerie iridescent colors that highlight the triumph of the industrial revolution. 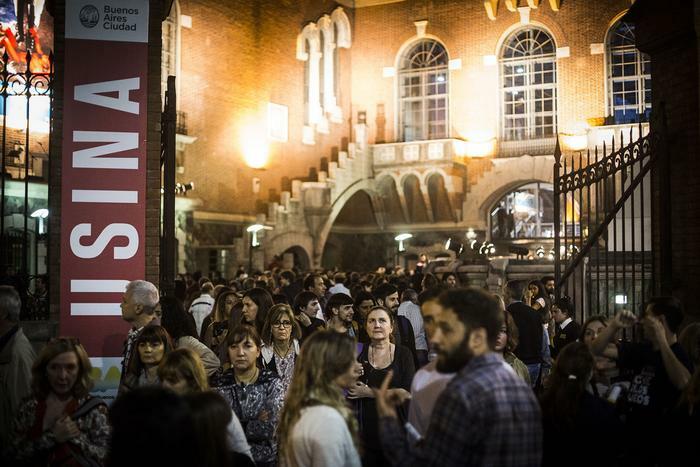 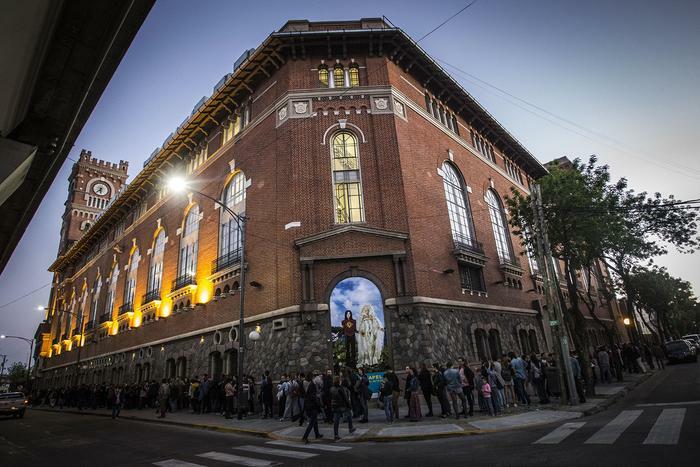 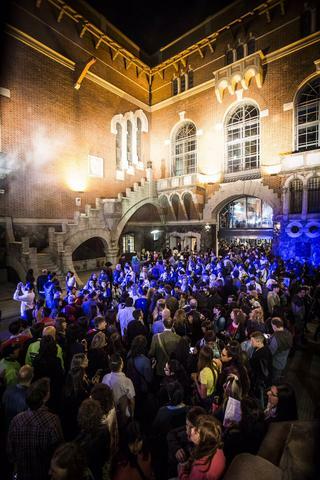 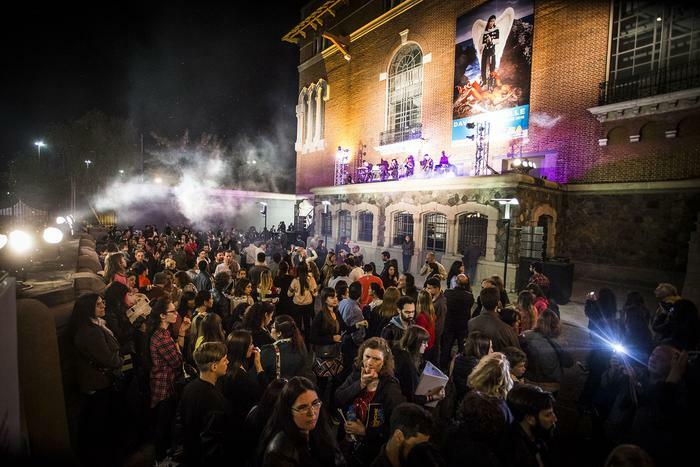 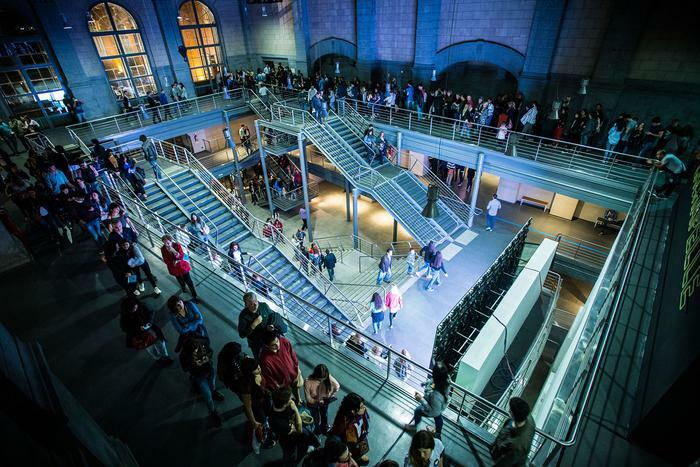 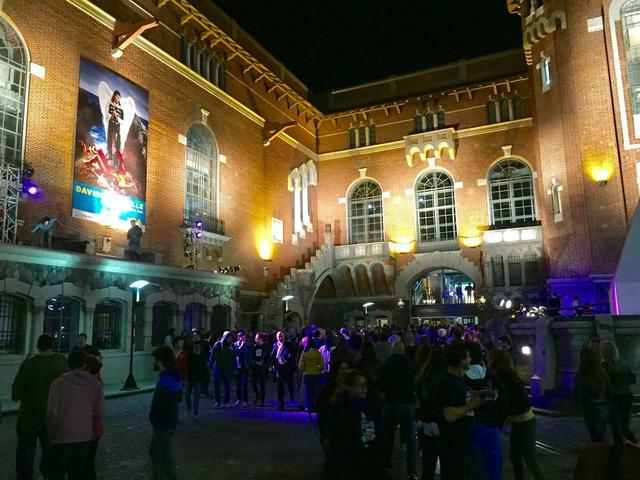 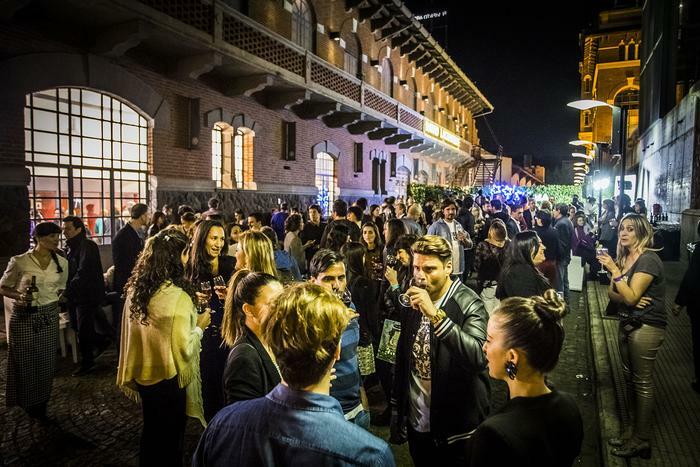 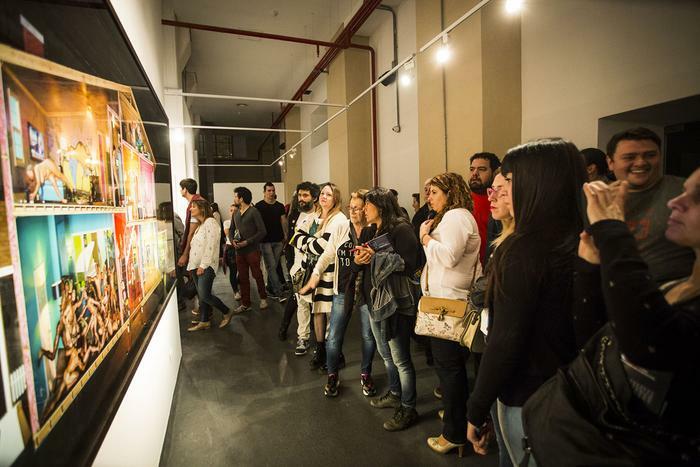 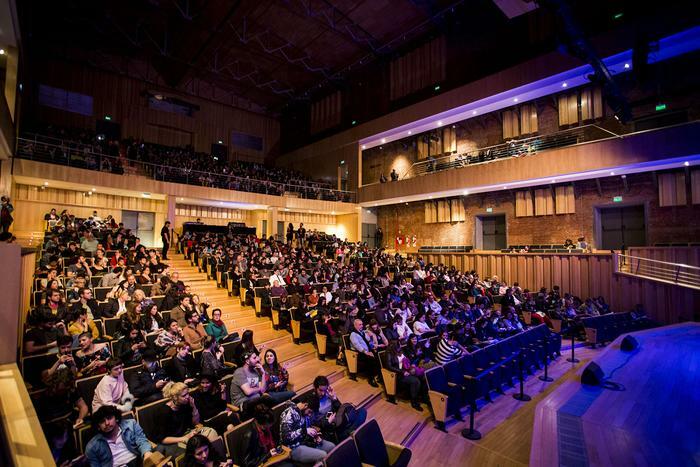 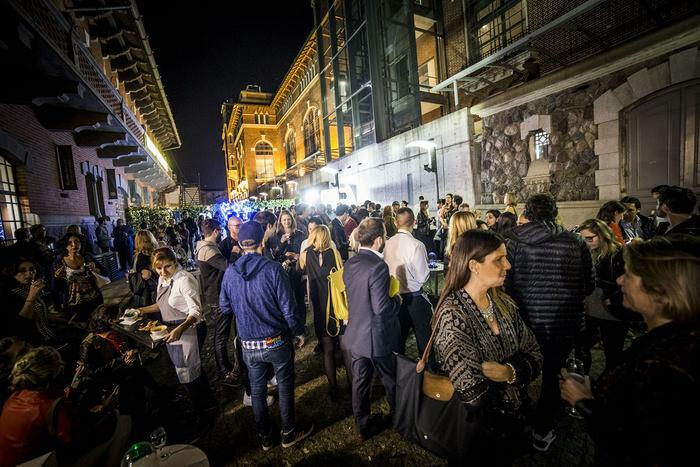 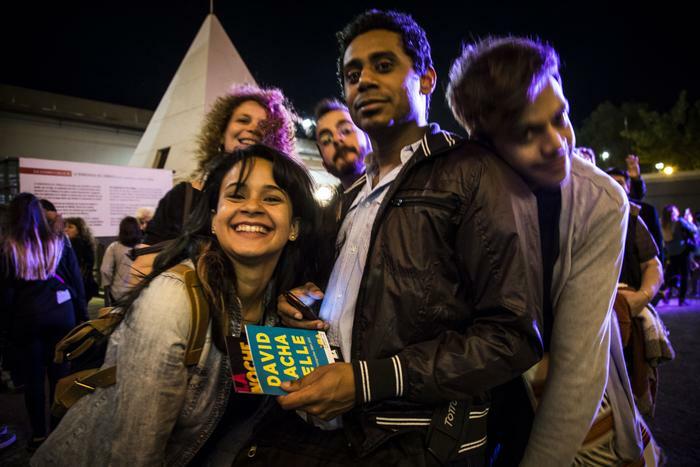 Guided tours spread the architecture and history of the Florentine castle built by the architect Giovanni Chiogna to house the former Italo Argentina de Electricidad and subsequent recycling to assign him to the city two concert halls with excellent sound quality.